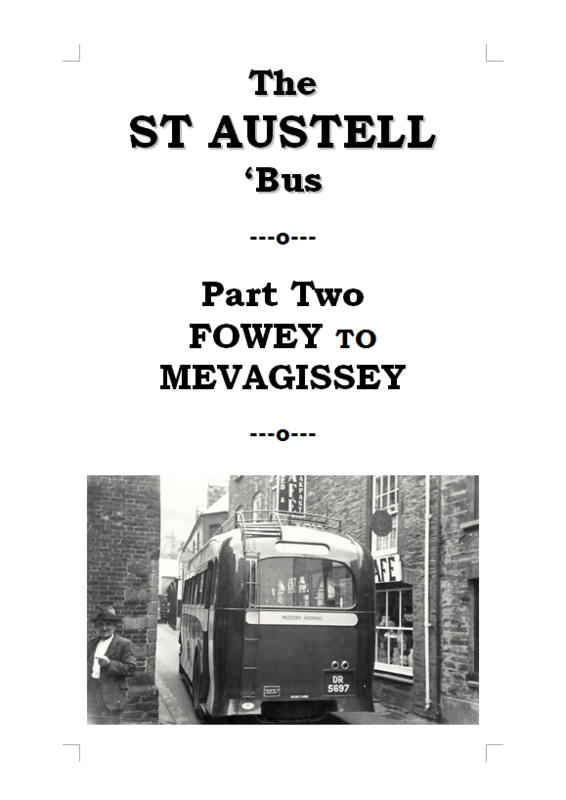 Bennett’s, Duchess of Cornwall, Endeavour, Fisherman’s Co-op, Fowey Hotel ‘Bus, La Premiere, New Amethyst, Purple Cars and Red Rover – as well as first hand accounts of the G.W.R., National and H.B. ‘Buses local operations. 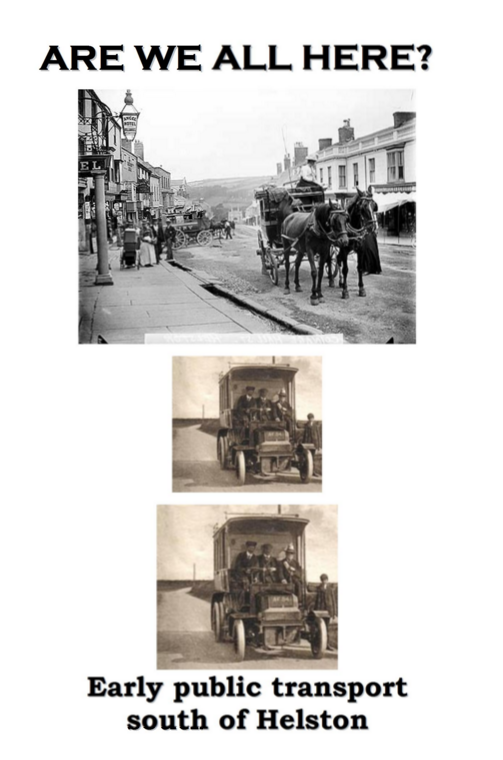 “Beside its main job of taking barrels and boxes of crabs lobsters and wet fish to the station, it was fitted for use as a coal lorry, a cattle transport, an ‘errand’ lorry and, incredibly, a passenger vehicle”. 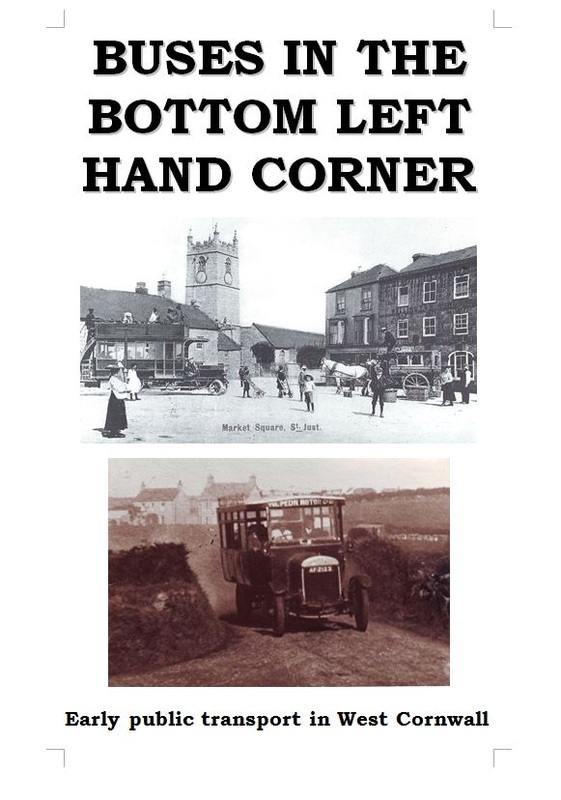 The “Cornish Alps” – read about Beacon Tours, Blue Bird, Carlyon, Crowle’s, Currian, Enterprise, Excelsior, Mayflower, Mid Cornwall Charabanc, Riviera, Superior, Westbourne, and White Heather – as well as first hand accounts of the G.W.R, National and H.B. ‘Buses local operations. “not only looked after his passengers, he took care of his employees. 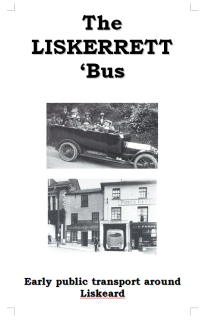 His wife provided “crib” (refreshments) for staff during the day and on Saturday nights, when the ‘buses were out until nearly midnight, she waited up with wage packets and had a cooked meal ready for them to eat before they went home”. 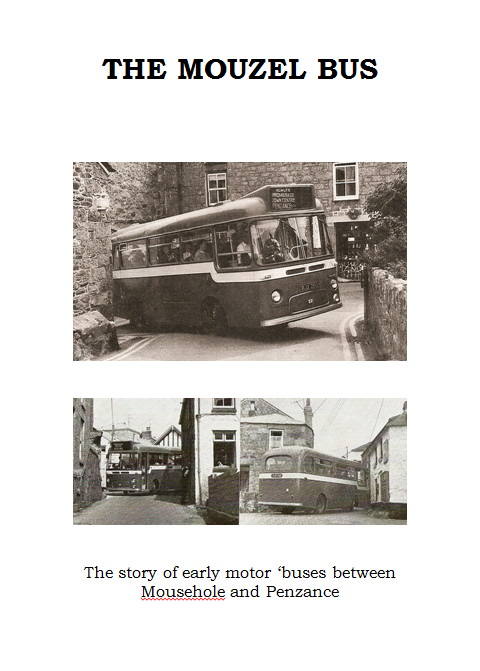 The story of early public transport in the Land’s End peninsula. 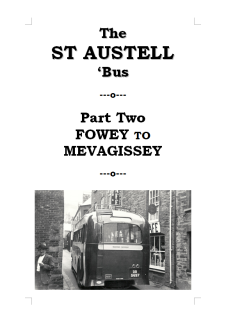 Includes the West Penwith, Dolly Pentreath, Cornish Express, Defender, Tol-Pedn and St Michael’s motor ‘buses and their predecessors, the horse ‘buses of St Just, St Buryan, St Levan and Sennen. Also covers the early years of the Great Western Railway road motors and Western National with many contemporary accounts. 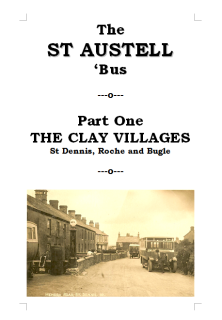 Public transport on, to and from the Rame peninsula of Cornwall, covering the fishing villages of Cawsand and Kingsand and the larger settlement of Millbrook. Includes Millbrook Steamboat & trading Company. 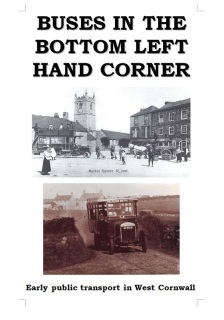 Now re-published as a single A4 volume. 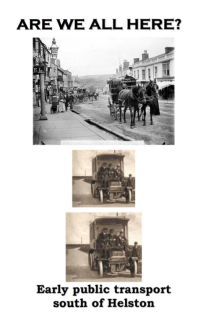 Early public transport in the area bounded by the River Camel and the north coast of Cornwall including the stories of Blakes of Delabole, W.A.Hawkey of Wadebridge, Prout Brothers of Port Isaac. 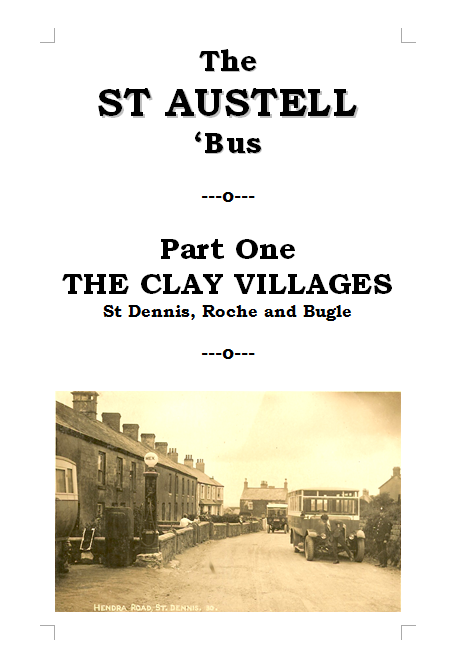 40 photos plus illustrations, maps timetables and vehicle details. 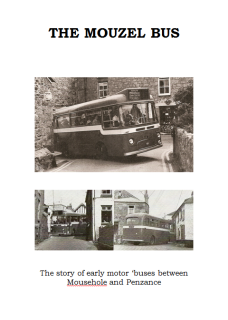 Public transport around Mousehole from World War I until the 1980’s.